Are you having trouble losing weight? Are you confused on how to get in	shape and drop those excess pounds? If so, our medical professionals at	Huma-Netics have created a medical weight loss program for you. Huma-Netic’s	Get Lean program can help you achieve fast, sustainable and healthy weight	loss. Our program is easy to follow and comes with constant support to	keep you on track and motivated. A body consultation with a medical professional who addresses any health	issues that you may have. They will also discuss with you the challenges	you’ve been facing, how to overcome them and ultimately create goals	for the program. Each month you are with the program we will have a body composition &	fat analysis. 4 Ultrasonic Lipo Cavitation Treatments which focus on the abdomen is a	slimming treatment that is non-invasive and helps to remove fat and cellulite	from the body. On-going nutritional coaching with customized healthy eating grocery lists	to help facilitate weight loss and ultimate well-being. You will also have an on-going support system that allows you unlimited	phone calls and/or visits to help with the challenges everyday life and	to help you achieve your goal. You will receive an initial blood draw and Labs (CBC, Complete Metabolic	Panel, Lipid Panel w/ Coronary Risk) and then you will review your labs	with a medical provider. You will receive an initial blood draw and Labs (CBC, Complete Metabolic	Panel, Lipid Panel w/ Coronary Risk, Thyroid, Endocrine Evaluation, Testosterone,	and Estrogen) and then you will review your labs with a medical provider. 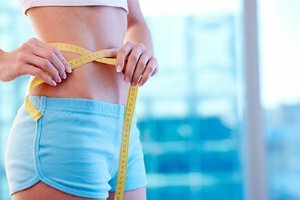 8 Ultrasonic Lipo Cavitation Treatments which focus on the abdomen is a	slimming treatment that is non-invasive and helps to remove fat and cellulite	from the body. * Disclaimer: Each patient’s experience is unique based on medical	conditions and body composition, as each patient’s body is different. The amount of weight loss may vary based on these and other variables	such as program adherence and metabolic factors.